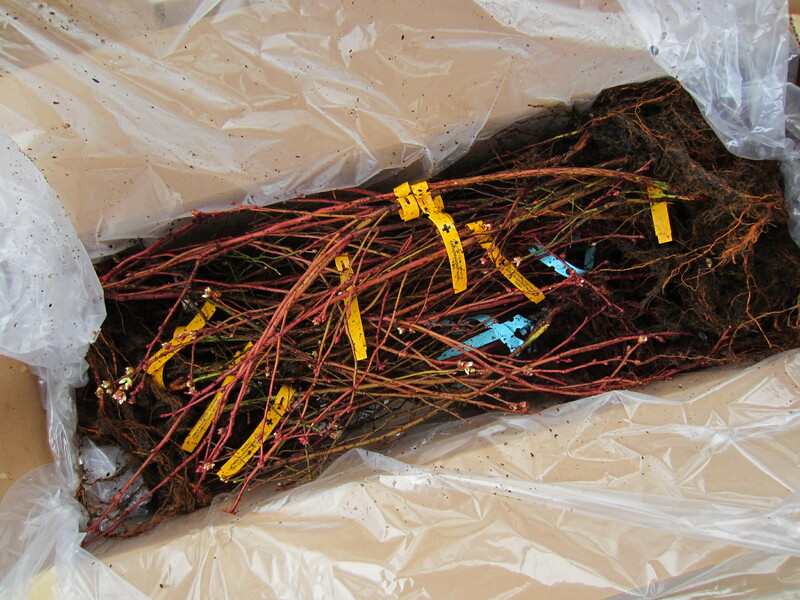 Half of the bare-root blueberries arrived yesterday; hopefully the rest will come on Monday. We decided to hold off on planting them until early in the week because temps are going to be in the teens tonight and tomorrow night. Brrr. I hate to set them out just in time for a deep freeze. 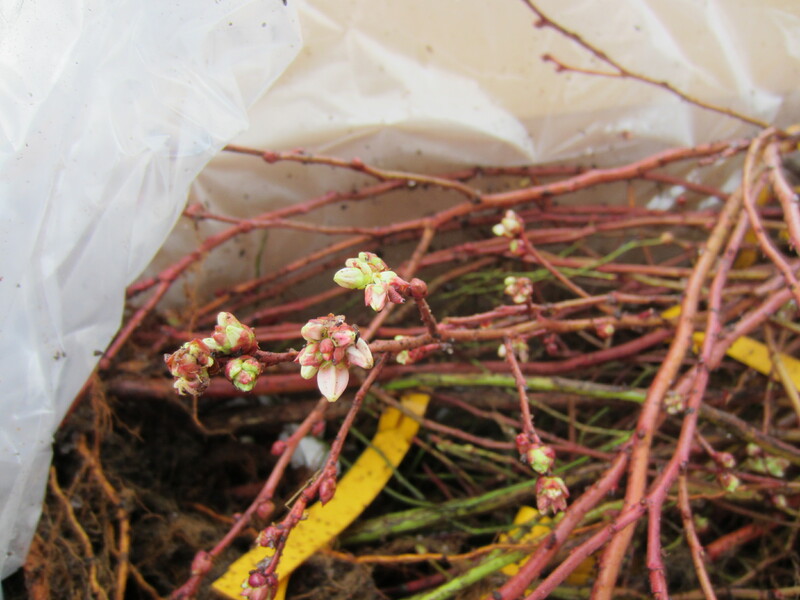 They are already flowering and the nurseryman said we should get them in the ground as soon as possible. 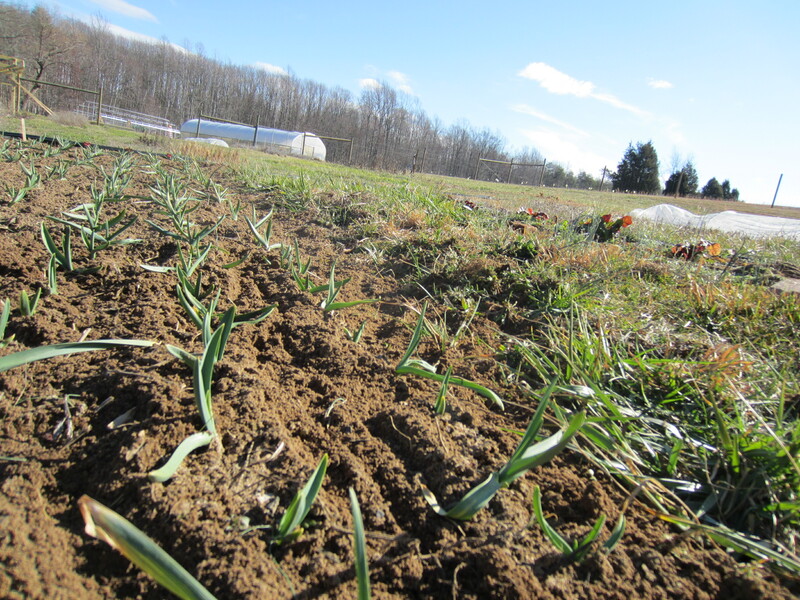 I have been working on weeding out the garlic and flower beds. It’s amazing how many species of weeds put on growth in the dead of winter. While I was busy inside those little weeds were growing deep roots and getting well-established in the beds! On days when it is above 40 degrees and sunny it is pretty nice to be outside, as long as there is no wind. I have gotten a lot of clean-up and weeding done in the past couple of weeks. Soon we will be putting seeds in the ground! We have lots of germinating going on inside already: onions, some herbs, flowers, peppers, and brassicas. Now that our light bay is completely full we’ll have to wait another week to start more seeds. Gavin is near completion of the new greenhouse, so we will be fashioning a temporary heated chamber in there to move the transplants out of the yurt. I have been experimenting with sprouting. These are mung beans. I don’t think we’ll ever grow enough to sell at market, but they are a fun little project for home consumption. 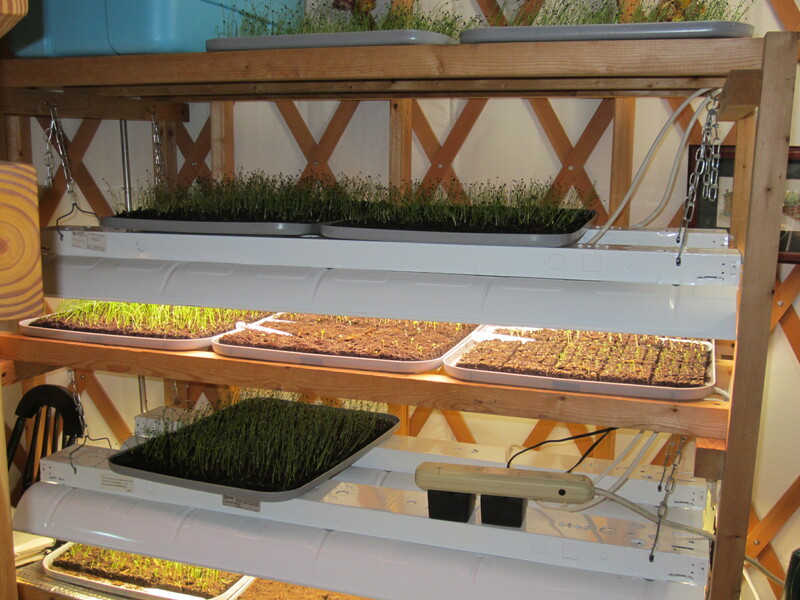 We spent most of January ordering seeds and supplies, and working on the new shed and greenhouse. Still plenty of work to be done before the season starts, but we are feeling a lot better prepared than we were last year at this time. Back in the 70’s a friend and I utilized a portion of his grandparents 150 acre farm and ‘planted’ mung beans. Planted in quotes because we actually paid 2 people to plant for us as we were school kids. Why I am sharing this is because I am amused you are actually growing them in seed pots. We just dropped 3-5 seeds in the row and buried with a light pass of the foot. The area planted was about 2acres. Hi, Mark. Enjoyed your reminiscence. We have had our fair share of crop failures as well; but I think that taking the risk is part of the fun. 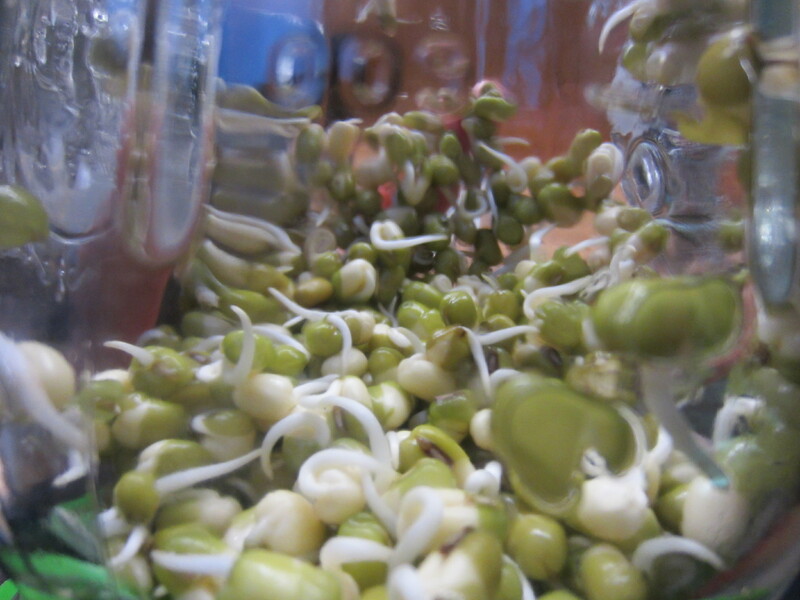 I am actually just sprouting the mung beans in a canning jar to use as a topping on salads. It is very easy, just soak the seeds overnight with cheese cloth over the top, then drain them and rinse them with warm water every few hours. In a few days you have sprouts. The sprouts are supposed to be really good for you! They will not be producing for several years yet… if we can keep them alive!